Devialet raises €100m for further development and expansion | What Hi-Fi? A consortium of investors is funding the future growth of specialist French audio company Devialet in Asia and the US. 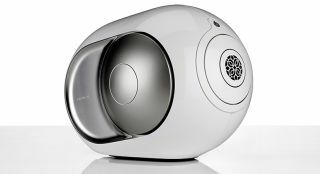 Devialet is perhaps best known for its iconic Phantom speaker, which has been making waves in the audio market for some time. Now it is to expand its technological expertise into other areas, including the automotive, television and internet of things (IoT) sectors. The money has been put up by Ginko Ventures in collaboration with other investors including Foxconn, Sharp, Renault, Roc Nation (founded by Jay-Z), CM-CIC Investissement and Bpifrance. “This fundraising marks a new stage in our incredible development towards being a global tech company and leader in our industry,” says Quentin Sannié, co-founder and CEO of Devialet. Devialet will use the new funding to focus on three areas of development: investment in R&D; expansion of its flagship retail stores beyond the current ones in Paris, London and New York; and more technology partnerships in the motoring, TV and IoT industries.